Or if he gets a better CIS roster under his Stardom, but without Zeus/Edward. I mean, c'mon, can't ANY other CIS team afford s1mple? Why is s1mple all of the sudden relevant in this discussion? Well, rain seems to be in good form. Why ask when you prematurely conclude anyways? Elige has been the best player on liquid so far. Depends on Vitality's performance. If vitality becomes a top 5 team: 1. Zywoo 2. S1mple 3. Magisk 4. Twistzz 5. Rez 6. NiKo 7. Valde 8. Woxic 9. Dev1ce 10. kennyS 11. Krimz 12. NaF 13. AleksiB 14. Electronic 15. Coldzera 16. Ropz 17. Autimatic 18. JKS 19. Elige 20. Nitro My prediction is a strong G2 with Vitality as their rivals, a dissapointing ence, a dip in Astralis, a stronger NiP with Rez unlocking his true potential. 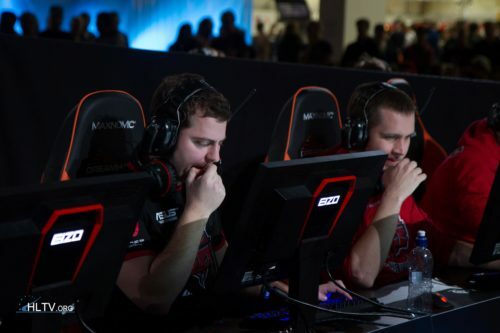 FaZe will dissapoint at first but will come back stronger by recruiting Ropz and Woxic, replacing a retired GuardiaN and a washed up Rain(not Olof. He will return trust me). Also bringing in an in game leader replacing AdreN. If vitality end up not making it far, put Zywoo in like 10th place with everyone else a step forward. NBK won't even be in the top 20. The world ranking will be 1. Liquid 2. FaZe 3/4. Vitality G2 5. NaVi or Astralis. You’re setting yourself up for disappointment by imagining a dip in Astralis. This prediction is equivalent to saying the world will end on the 30th march. There is absolutely no logic behind this. Why do people think zywoo will be abble to get top 20??????? ?